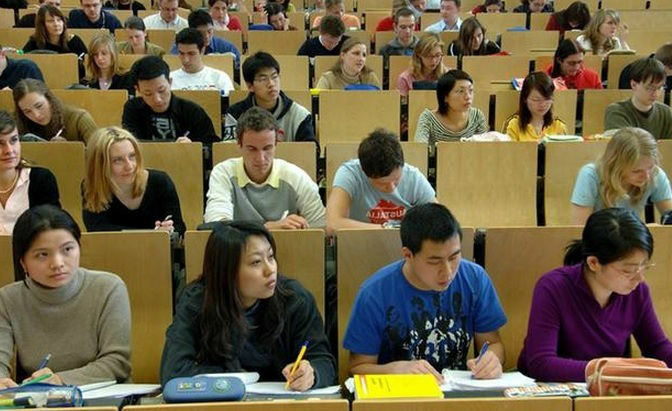 There is an elephantine-sized trap that many universities tumble into when targeting future Chinese students and, ironically, it is because of having knowledge rather than a lack of it. The problem arises with the increasing awareness of Chinese digital media, the recognition of the importance it has among all demographics in China compared to the UK, and attaining understanding of the wide variety of platforms and how they work. This would seem to be a significant benefit but, in fact, it frequently creates a major problem. University marketers use knowledge of Chinese social media and search behaviour, and they make it a focal point of communication, including planning. While this would seem to be logical, it is the pitfall to be acutely aware of, as making digital channels of primary importance moves focus on the target audience into second place. In particular, it shifts attention away from what should be the main concern: the decision-making journey prospective students and their parents embark on before choosing which university to opt for. The result of putting delivery channel before understanding, and responding to the needs of prospective students, is predictable. On average, Chinese consumers see 62.2 advertising messages per hour on digital media; unless a message is appropriate to the particular moment, it is ignored. Messages from university marketing departments that do not take into account whether the selection cycle is at research stage, application stage, or beyond, inevitably miss their mark. The channel can be absolutely right, but the wrong content makes this irrelevant. Recent research shows that, in China, recommendation is the second most influential factor when deciding which university to study at. Being side-tracked by the complexities of Chinese media is understandable, for it is very different from what is familiar in the West. It is fast-changing and extremely powerful and – after building an understanding of Weibo, WeChat, Zhihu, Baidu and others – it is reasonable to want to apply it. It is important to understand the Chinese digital landscape, but should not be considered as a means to an end in itself. The absolute essential should always be planning around the creation of content to match shifting response triggers, as students of the future and their parents move through the different phases of the decision-making process. In the case of parents – who often play a major role in university selection – research begins well in advance of student age being reached. Prospective students frequently begin looking at options more than a year ahead of making a final selection, and go through a fine-tuning of the selection process which continues after offers have been made. At no point in this journey is it applicable to rely on general demographic data, or to apply mass digital broadcasting on the basis that media selection alone is right. On average, Chinese consumers see 62.2 advertising messages per hour on digital media; unless a message is appropriate to the particular moment, it is ignored. Engagement should be seen by the recipient to be applicable to the individual, and it should not stop once an offer has been made. More than ever, it is the time to engage and close the deal, or everything that went before it is lost. After enrolment – and even after graduation – dialogue should be maintained for key commercial reasons. Being welcoming and informative as part of a duty of care is naturally appreciated, as is keeping alumni informed about developments and progress of the university. The commercial benefit of this is that demonstrating commitment to Chinese students and post-graduates turns them into marketing ambassadors that spread positive news about their experiences far and wide across Chinese social media. Recent research shows that, in China, recommendation is the second most influential factor when deciding which university to study at. Tellingly, the same research revealed social media is the single most effective route to recruitment, but this has to be put in context. When used in conjunction with campaigning around the selection journey, and tailoring content accordingly, outstanding results will follow. But if it is used in isolation of journey cycle and associated timely content, then it not only fails to produce a return on investment, but there is every chance the target audience will wonder at the reason behind distributing poorly thought-out messages.